Springville, CA, March 9, 2011 – TEDCF Publishing, a SolidWorks Solution Partner, today announced the release of downloadable SolidWorks 2011 training courses. For those who prefer to have the software in-hand, there is also an option to have the courses shipped to you. The download allows you to benefit from the courses while waiting for the CDs to arrive. In order to purchase the downloadable courses, visitors will first download a guided tour to see the level of detail involved in TEDCF Publishing training courses. This will allow prospective buyers to find out in advance if the courses are right for them. Professional Modeling – focuses on how to create structurally sound, editable models. Advanced Parts & Assemblies – teaches advanced topics within the part and assembly environments. Mechanical Drawings – demonstrates all the commands and skills required to create professional 2D drawings. Progressive layout – step-by-step training begins with basic concepts and progressively builds to advanced skills. 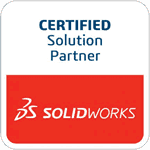 Learn more about the new downloadable SolidWorks 2011 training courses.